Bump. We've got a group of 3 lvl 1s ready to go, they just need a fourth to set out. Would you like that to be you? -A link to your completed character sheet. Post rate in most games are rather low- so hopefully this is as advertised with a high post rate. Being a wargamer also, a more combat centered thread is more my steed. DM'd three games and played in about a dozen others... as I was a teenager playing Chainmail, DND and I go way back. I can post 7 days a week, usually multiple times per day. Last edited by Landsknechts; 10-16-2017 at 03:08 AM. I would like to join. Please accept this application. Appears to be lacking rules and control for fair play. Lot, but learning through reading other posts. Relatively new, but played other versions of D&D before. Currently, going through 5e adventures. Every day multiple times per day; in the early mornings and evenings. I have the dungeon delve book would like to try it out! What are the connections to the book? I can post each day. Last edited by Nai; 10-26-2017 at 07:45 PM. 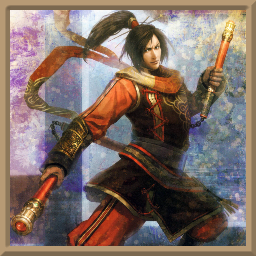 Race - Dragonborn (Bronze) and unaware of this fact. Human as far as he knows. Background - Ever since Ofelya, the Duke's prettiest daughter, jilted me, there is just no point going on living. I might as well die in a dungeon. I'm a fountain of ideas, and rather outgoing--until lately, now that Ofelya has literally destroyed my heart and soul. I'm also mortally terrified of small, skittery animals like mice, rats, frogs, large insects, "teacup" pet dogs, pine martens, some birds, cats, chipmunks, weasels, hedgehogs, stoats, and others that I'll know if I see. I'll let you know too. Hopefully completed character sheet - is here. Need to add an illustration. Imagine a tall lad in his late teens with coppery robes, a quarterstaff, bronzed hair and somewhat metallic brown eyes. What about this game concept appeals to you? - I'd like to learn the mechanics of this edition without a ton of roleplay, and this game is really a public service to the community. Well done Agrudez. Is there anything about this game concept that doesn't necessarily appeal to you? - Not really. Brand expects to die. I expect to learn. Expected post rate - 1x / day or slightly less. I travel a lot. Ridin Gaijin, from what I understand, 5e Dragonborn are born very different. You're not born human, then turn dragonborn...you're actually hatched from an egg. Young dragonborn, who hatched from eggs like their draconic relatives, grew at an impressively rapid rate, much faster than most other races, reaching the equivalent maturity of a human child of 10 by age 3. Dragonborn nursed their hatchlings for several months before teeth began to come in. A dragonborn would then slowly introduce soft food and then move towards normal dragonborn eating habits, which contained more meat than was typical of most other races. Their rate of maturation slowed dramatically within a few short years and they were not considered physically mature until the age 12, when their bodies reached their adult height and appearance. Not all dragonborn developed a breath weapon but those that did usually obtained it during these years of growth. Psychologically, dragonborn were considered mature as a human adult by age 12, and when they reached age 15 they were considered legally adults in dragonborn society. Once they did reach adulthood, dragonborn could expect a lifespan identical to that of humans." "Standing on average around 6'2" – 6'8" (1.88–2.03 meters), dragonborn were impressively tall with a heavy weight to match, commonly possessing a mass of 220–320 lbs (100–145 kg). Dragonborn feet ended with three strong talon-like claws with a fourth claw in the back, while their hands were similar with three claws with a thumb replacing the rear claw. A dragonborn's head featured a blunt snout, a strong brow, and reptilian frills on the cheeks and ears. On the back of the head, a crest of hornlike scales formed what resembled a mess of ropy hair. Dragonborn eyes were usually red or gold in hue. 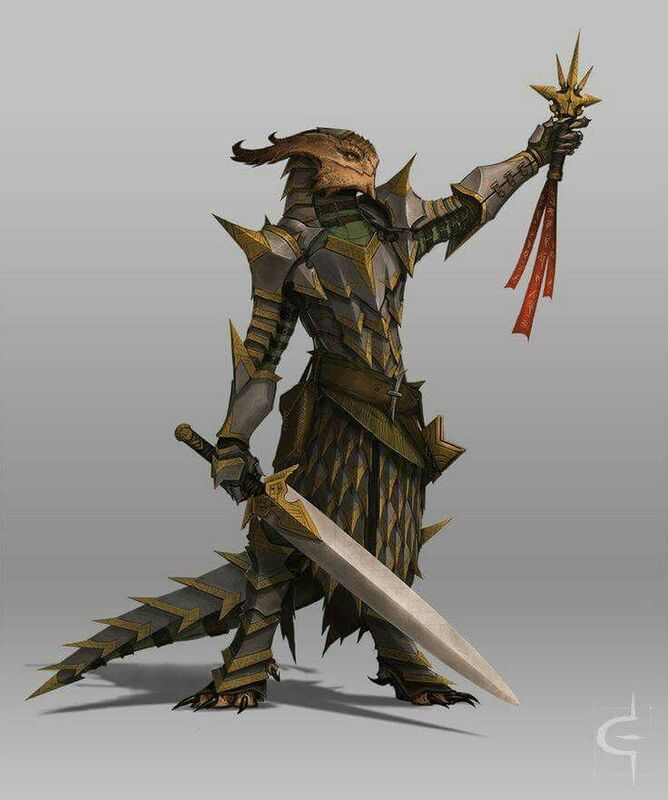 ["
Just search "dragonborn 5e" under Google Images to get a more complete idea. Last edited by Andor; 10-31-2017 at 11:25 AM. I do not think he means Dragonborn per-sae -- as he referenced the Sorcerer so I think he meant Dragon Bloodline -- but I am not sure about that since I am not him. Last edited by DeJoker; 10-31-2017 at 12:05 PM. In a dungeon now and LOVE it! Nope, I force in as much "Role" play as I can, but love that I can fall back to a bare minimum and it is all that's expected. I love that I can explore town in my downtime between dungeons. Playing mostly 13th Age and 4th addition in the last two years, but have plenty of D&D experience. Currently in the Labyrinth now with my other character. Once / day, sometimes more. Very occasional lapses (I sometimes travel pretty far up North to places with little or no internet/phone service). Ttalkw is a left-handed, albino, eskimo, ranger. Self sufficient and a loner. He's a strange duck all around but a good guy to have along in a scrape. He'll be focused on slightly more obscure but still useful skills. He will by no means be an optimized combatant but he'll certainly have flavor galore. Last edited by Tongue; 10-31-2017 at 01:21 PM. Goodness! I had better do some more homework - thanks for the tip. I'm relying on a few different online SRDs, none of which mentioned all that egg business. Sounds slimy, but then again, so is mammal birth. Back to the interwebs. I'm pretty sure the idea would be to just stick with the bloodline as DJ mentions. Thanks again. Last edited by DeJoker; 10-31-2017 at 02:07 PM. Whenever you decide on your race just let me know. And feel free, as Joker suggested, to come on over to the game forum to start integrating into the community - we're glad to have you! Hey, Tongue, I'm glad you're enjoying the game! That said, there are already rules in place for obtaining a second character that you can find here. Luckily, what you discussed (and have already started) with the world map is likely something I'd consider a "tier 3 contribution", so once that is complete you can re-submit Ttalkw. You know I saw that, then plum forgot. No problem though, I really just wanted to have a character with a different class ready in town in case he was a better fit for someone's party. I'll probably only play one at a time. Really just getting my brain storm on paper is good enough for now as I won't likely have time to finish the character sheet until after the map is made anyway. Last edited by Tongue; 11-01-2017 at 01:08 PM. Can't leave a bar without buying a drink, yet doesn't drink alcohol. My very first D&D game was essentially a dungeon dive with a roguish character. I love to RP, but sometimes a murderous rampage, hack-n-slash, dungeon dive is great also! Not that I've seen yet. Not alot really. A few games that never got very far off the ground, but I'm pretty fluent in character creation! Once per day, on average. Trait: I’m driven by a wanderlust that led me away from home, still nothing can shake my optimistic attitude. Trait: There's no room for caution in a life lived to the fullest. Ideal: Life is about fun, adventure and excitement. Bond: The people I adventure with are my friends and friends are worth fighting for. Appearance: Just over 4 feet tall with a youthful gate and expression Dani could almost be mistaken as a child. She wears supple leather armor in a myriad of muted colors. Personality: Cheerful and energetic, Dani is an optimist and romantic. She views life as one great adventure and is happiest when there's action to be had. She rarely sits still tending to pace and fidget when bored. Although fearless and impulsive she can usually keep a level head to get a job done. Last edited by JohnStone; 11-08-2017 at 01:08 PM. I like the idea of the mmorpg, players make their groups and go on quests, gain experience and have fun. I am in one 5e table top game that meets once a month, and 2 play by post games, one one rpgx and one through FB with some other guys. I can commit to at least one per day, some days more but unless something comes up I can usually do more. The son of Orc warrior Gur'klec Bloodclot and his human slave Clair Bloodclot. Eyesyk was trained as an Orcish warrior by his father. His human blood never allowed him to fully integrate into Orcish society but he was treated the same by his father as he treated his other sons. His brothers did not like Eyesyk but tolerated him because his father viewed him as an equal and together they dominated the other young Orcs. At 14 Eyesyk was send away to face the same trial all members of the members of the Bloodclot clan must face to ensure adulthood, enter the wilderness and kill a bear by yourself and wear the animals hide. With only his father's family great ax he went into the forest. It took Eyesyk many days to locate a bear. It was a viscous battle, one that almost killed him but his orcish heritage game him the will to continue and slay the bear. He skinned the bear and dried the hide which he wears as armor. When he returned to his village all he could see was smoke and fire, there had been a great battle. When the smoke cleared Eyesyk searched the village, every orc had been slain, looks like the work of humans. All slaves seemed to be rescued so he knew his mother was safe which provided him some comfort. Eyesyk shrugged his shoulders, clearly these Orcs were not as mighty as they claimed and Gruumsh punished them. He found himself alone, the last member of the Bloodclot clan, he would not be dishonored as his family was. Over the next 4 years Eyesyk survived in the outskirts of society, selling skin and meat to local humans. One day Eyesyk came across a campfire, there were 4 well equipped adventurers, they did not seemed frightened by Eyesyk at all they invited him to share a meal and told him many stories of adventure and glory, dungeon trials and quests. This encounter encouraged Eyesyk to seek glory for himself.